The two main problems with wind turbines: they are imposing, intrusive structures and they don’t work in a light breeze. So what if a turbine could look like a tree and work in light winds? Last December in Paris, while world leaders hammered out the historic COP21 climate change deal , a few streets away two prototype “wind trees” or arbres à vent , were quietly generating clean power from the gentle city breeze. 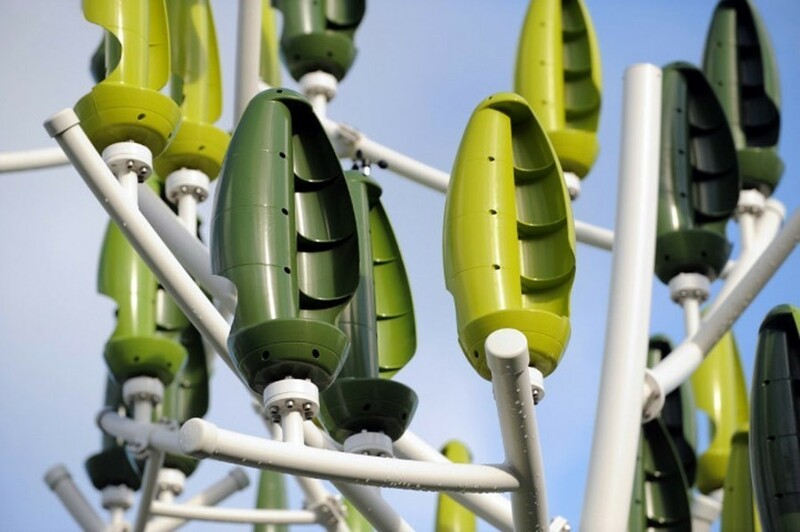 Designed and made by French company New Wind , the trees have plastic leaves which silently turn in the breeze, no matter which way it blows. While larger industrial turbines can only work in winds of over 35 kilometres per hour, the leaves capture energy from wind speeds of less than 8kph. The trees stand at over 9 metres tall and 7 metres wide, sporting a total of 54 green leaf-turbines that can capture up to 5.4 kilowatts of energy at a time and produce around 2,400 kWh annually. New Wind estimates the trees could meet half of the average French household’s annual energy needs or run a small, low-consumption office. A big advantage of the wind system over solar power is space. A 5.4kW solar array would take up about 131 square metres of roof, but a wind tree’s curved branches could be attached to any balcony or rooftop. For anyone wanting to “plant” their own tree, they will initially only be available in France. The approximate price of each tree will be about US$35,000, though that price will hopefully decrease as production becomes less expensive and the technology is further developed. Small turbines for individuals are catching on; the Danish company Aeolos Wind Energy focuses on wind energy for homes, farms and schools, and Urban Green Energy recently installed turbines on apartment rooftops in New York.